The lightweight jackets from Carhartt’s outdoor range reflects the core idea of providing products with innovative design and exceptional standards of quality, durability and comfort. 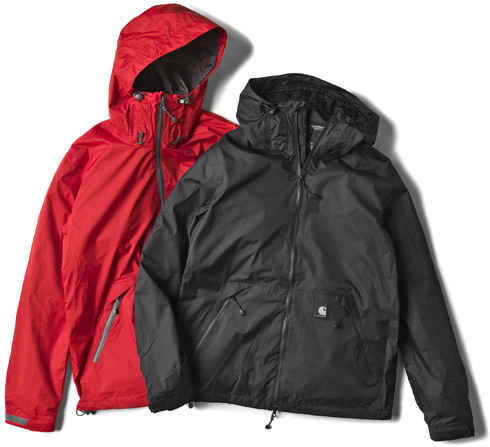 These extremely water repellent jackets are made out of laminated nylon fabric and will keep the wearer dry for hours during rain. To ensure this all seams are sealed by hand with a specific tape. Furthermore, the zippers inside the jackets are waterproof, so that everything inside the pockets is shielded from water and stays dry. 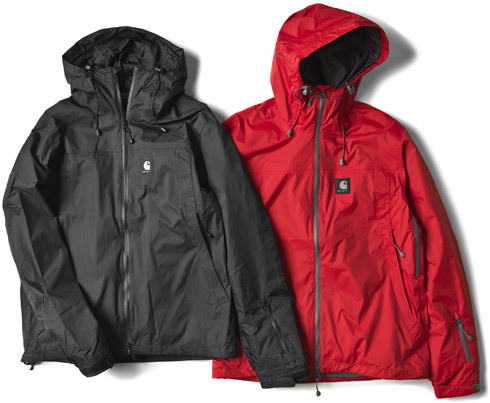 To avoid body overheating, the material of the jacket is breathable and transports the moisture and vapor from its lining to the outer surface of the garments. 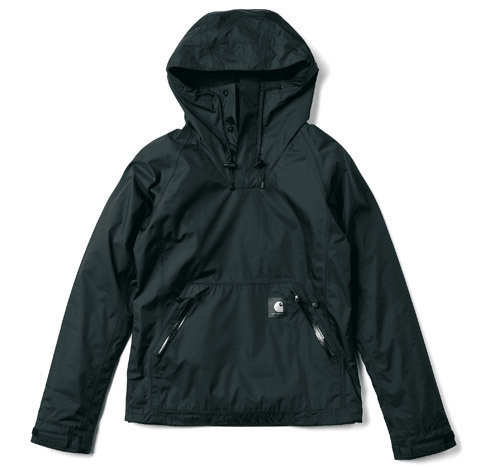 Every style has expedient features such as adjustable hoods, cuffs and waists. The men’s range offers a choice of three styles. The Cronos and the Nereus are zipped jackets with armpit zippers to regulate ventilation and distinguish themselves through the positioning of their pockets. The pullover model Morpheus features a high collar and a short zipper. All versions are available in several colors such as black, white, red, yellow, grey and blue. 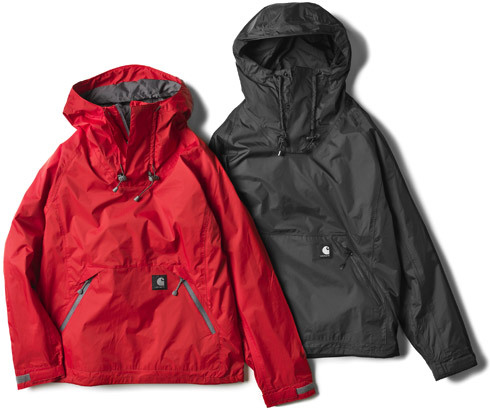 The Morpheus and the Nereus jacket, are also available as a women’s styles in the colors black, white, red, and blue.